OH YEAH! I got Sam and I tickets to see MAD SIN!!! I am soooooo excited about this! They are one of my favourite bands. 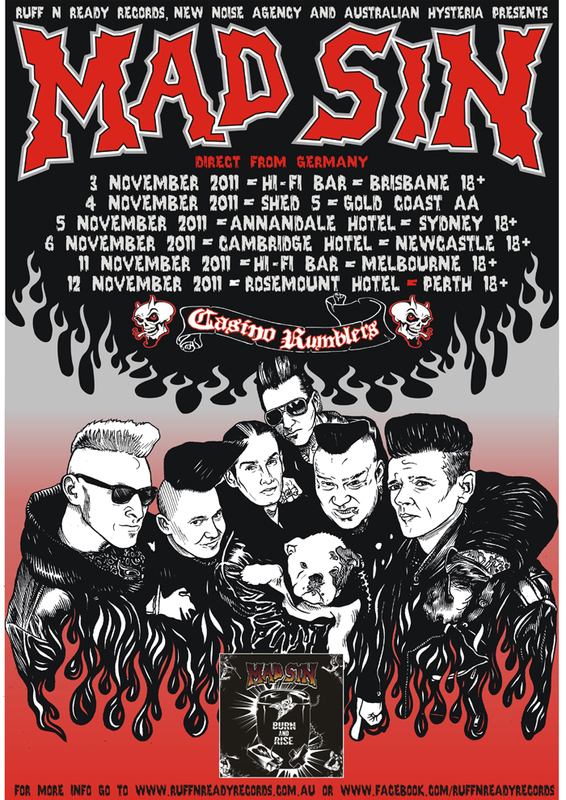 A few years back they were booked to come to Australia but the tour got cancelled for some reason, so even though they aren't coming to our city, we will be off to see them in Melbourne in November! YAAAAAY!!! I bet they will be! I can not wait. 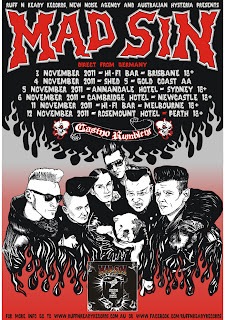 It's not often we get good bands, let alone good psycobilly bands, in Australia very often so I couldn't pass this one up.